The recent local media coverage has been fairly comprehensive in discussing first the planned delays to completing the Major Cycleway network and then reaction to the tragic cycle death a couple of weeks ago. Through it all, you might have seen comment from Spokes Canterbury Chair Keith Turner, and I thought it was timely to just remind people of the valuable work behind the scenes that Spokes does. Spokes Canterbury has been in existence since 1998, although that date was essentially a rebirth of the Canterbury Cyclists Association that had been around since the 1970s. Spokes is the local branch of CAN, the national Cycling Advocates’ Network, and in fact a couple of Spokes Core members are currently on the national CAN Committee (and many others have been in the past). 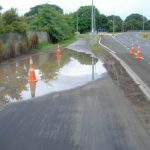 Spokes regularly makes submissions to the City Council, NZTA, ECan, and other organisations on proposed projects and draft strategies/plans, sometimes up to 20 a year. These could range from small items like a park or street improvement to major initiatives that have region-wide implications. Often a lot of the work is about making sure that cycling is properly remembered and considered in these plans (it is somewhat depressing that in this day and age it can still often be overlooked). For specific projects it might also be about ensuring that the “little details” that could make things better for cycling are remembered, e.g. maybe a short path connection or including some bike parking. Spokes also holds meetings with various groups involved in relevant projects/plans. Sometimes this is a follow-up to an earlier submission, e.g. presenting at formal hearings, or to help clarify our concerns. Other times it is more about getting to know each other, e.g. Spokes has recently met with CERA staff involved in the Central City Plan, SCIRT engineers managing temporary traffic mngmt around the city, and also had discussions with CCC Travel Planning staff. 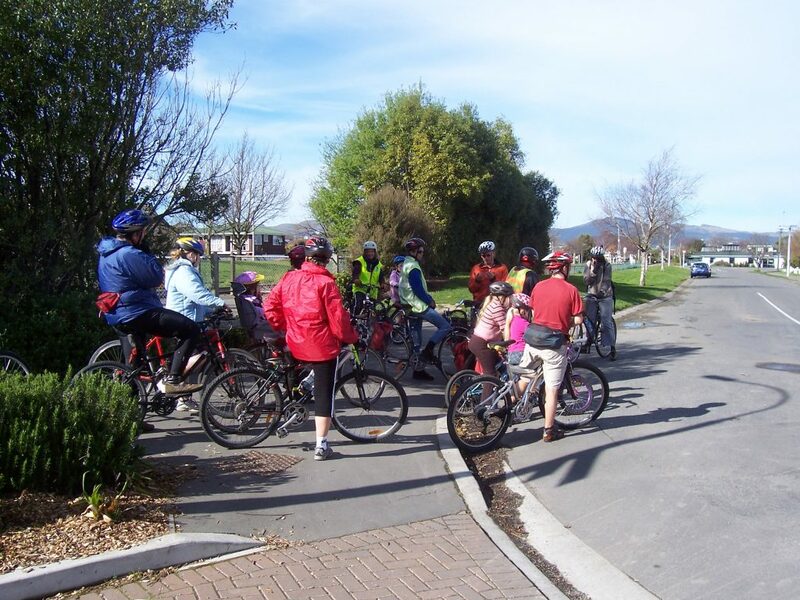 With some groups, such as NZTA State Highway staff and CCC cycle planning staff, regular meetings have been arranged just to maintain an ongoing dialogue and ensure that Spokes is aware of proposals “in the wind”. Spokes also represents cycling interests on various multi-party groups. Some of the current ones include ECan’s Passenger Transport Advisory Group, the Chch Road Safety Forum, and the NZTA Cycle Safety Reference Group. As well as getting across the “cycling viewpoint”, these groups are a good opportunity to build relationships with people from other organisations (e.g. over the past few years Spokes has built up a good relationship with the local Automobile Assn District, partly through regular interactions at other group events). In the past various Spokes members have led recreational rides around parts of the city. These are designed to be family-friendly rides that explore hidden little cycle routes through our suburbs for an hour or two, accompanied by regular commentary on projects past and present along the way, and invariably finishing up a cafe somewhere for a cuppa and some more chatting. We haven’t done one for a couple of years now, but it would be great to revive these. As the local organisation representing everyday cycling interests, Spokes is often called on to comment on media issues. So it’s important that we capture the feeling of the cycling community in an informed manner. Spokes also sometimes puts out media releases on issues that it feels strongly about (although most times the media comes to us first). Occasionally Spokes will take on various focused campaigns to help address cycling issues. The most famous of these was probably during the City Council’s moratorium on cycleway building in 2005, which went on for six months. One wonders whether another one is brewing with the current controversy over cycleway implementation, although Spokes typically tries going through official channels first. 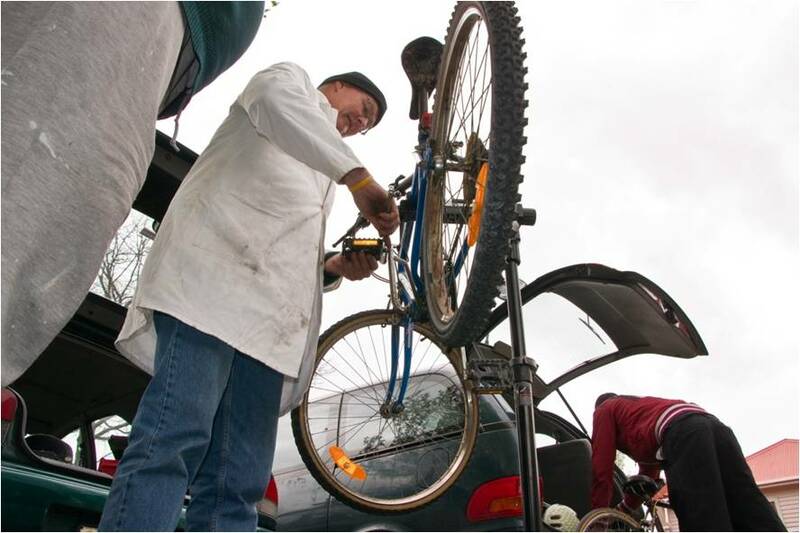 Several members of Spokes are also very involved in helping with associated cycling initiatives, such as ICECycles bike workshops, Frocks on Bikes events, and of course our very own Cycling in Chch website. Spokes has also lent a hand at past city cycling events such as Go-By-Bike Breakfasts, Park-to-Pier rides, and the recent Open Streets day. Ultimately, what Spokes gets involved in or not is simply limited by the willingness and availability of its members to help out. Spokes don’t always get its way in its dealings with various agencies, but there are plenty of improvements out there (both on the ground and in official documents) thanks to the inputs from Spokes over the years. The fact that Spokes are generally recognised as one of the default local parties to consult with on any major project or policy speaks volumes for the respect built up over the years. Unlike some organisations, Spokes doesn’t take paid memberships (although it obtains some funding from CAN via its local paid members). Over 1000 people are signed up to Spokes monthly e-newsletter (which is currently on a little technical hiatus while we wait for the release of Spokes’ new website) and that is about the closest we have to “members”. However the bulk of the work is undertaken by a smaller group of ~30 people known as the “Spokes Core”. Like most advocacy groups, all that work is unpaid volunteer time and it’s great to see the efforts that many people have contributed over the years to the cause. Spokes’ Annual General Meeting is coming up soon on Thu 1st May at 5.30pm. In the past this has been combined with a notable public presentation of some kind, but this year it was decided to have a simple meeting, with a bigger public event to be arranged later on. Nevertheless, you are still very welcome to come along and join the proceedings, especially if you’d like to help Spokes out with anything. Typically the Core Group meet monthly and deal with most other issues via phone/email/website. You might have particular talents that you think could help Spokes with (e.g. marketing/promotion, websites, traffic engineering). Or you might want to help with just one particular issue (e.g. organising social rides, helping with submissions on projects in your area, making contact with key decision-makers). Or you might simply have the most valuable talent of all: some spare time! You’re very welcome to just “listen and learn” until you think you can contribute, and we can buddy you up with more experienced people to help you with your first few tasks. If you’re interested in knowing more about how you can help out contact one of the key Spokes Core members. What is ONE simple way that you could help Spokes with its work? Next Next post: Feedback wanted: Is “Transport for Chch” useful for you?